Who funds Utah legislators’ campaigns? Special interests provide 82% of money, while voters in lawmakers’ own districts gave only 6%. (Trent Nelson | The Salt Lake Tribune) Representatives stand for the Pledge of Allegiance in the House Chamber of the Utah Capitol in Salt Lake City, Tuesday, Jan. 30, 2018. 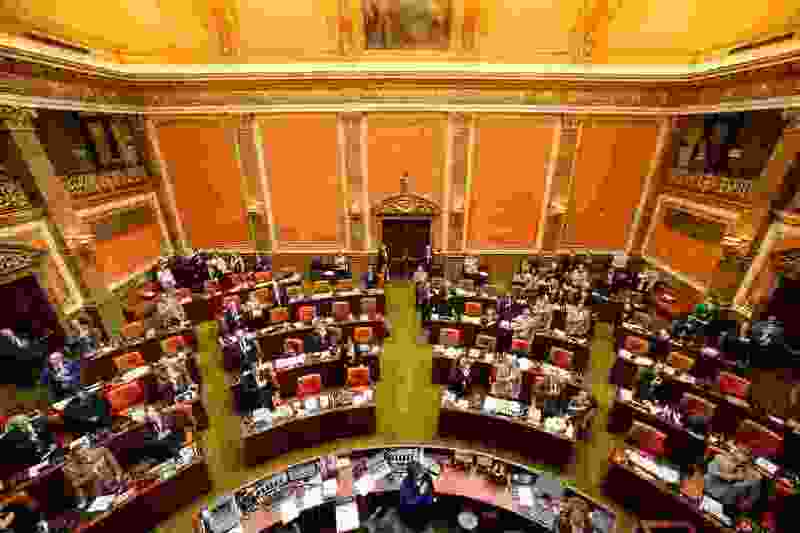 As the Legislature convenes Monday, the statistics again raise questions about how much influence big donors and organized interests wield compared with run-of-the-mill Utah voters. Thomas says he doubts that big-donor groups buy any votes but adds that their money may improve their access to lawmakers to make their case for or against legislation. “All these companies wouldn’t be spending this money if they didn’t feel like something was coming out of it,” he says. “If you are going to get a big check from someone at a fundraiser, you’re probably going to spend more time with them than a random constituent” — and perhaps be more likely to have phone calls returned. Steve Erickson is a lobbyist for groups that can’t afford to make big donations, such as the Crossroads Urban Center for the poor and some wildlife groups. He says that puts them at a disadvantage in the battle to persuade lawmakers. New Senate President Stuart Adams, R-Layton, doesn’t see it that way. “I think we try to listen to everyone,” he says about legislators. (Rick Egan | The Salt Lake Tribune) Senate President Stuart Adams. “People donate because they think you are doing a good job,” and not to increase access or sway votes, he says. “I think the reason people donate is because they align with the people they want to donate to,” and want to help elect allies. 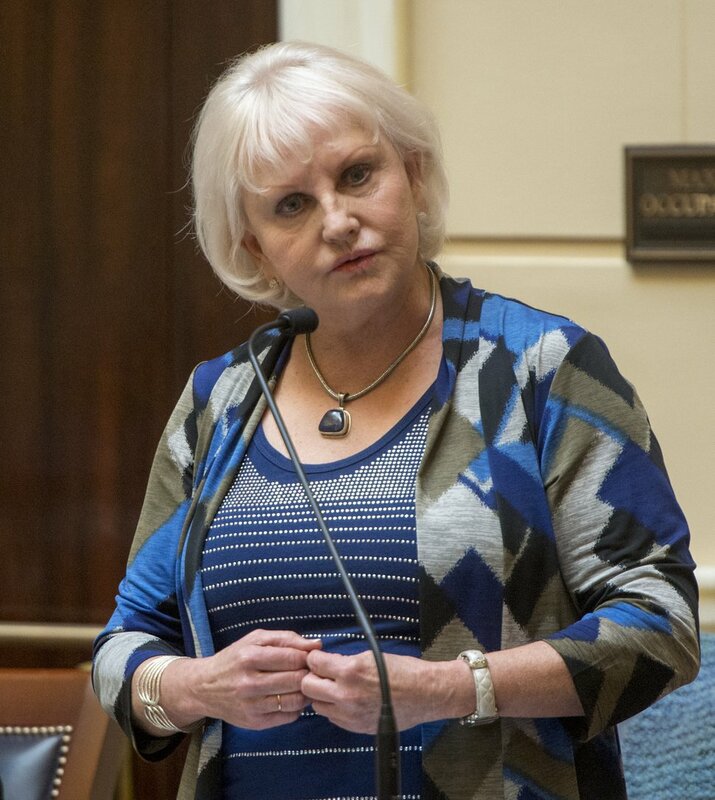 Rick Egan | The Salt Lake Tribune Senate Democratic leader Karen Mayne. He notes that new research by his BYU colleague Mike Barber found that in states where laws favor donations by special interests, legislatures tend to be less partisan in their actions. Where laws result in higher donations by individuals, lawmakers are more partisan — likely because individuals who are motivated to donate are also more partisan. Tribune analysis found that incoming members of the Legislature received $3.54 million in donations in 2018 — about triple the amount they received in the nonelection year of 2017. Of that, $2.9 million, or 82 percent, came from special or out-of-state interests such as corporations, executives, lobbyists, PACs, and party arms or fellow politicians (who in turn usually raise their money initially from other special interests). So Utah’s 104 legislators raised an average of $34,100 each last year, including $27,300 from special and out-of-state interests. And only an average of $2,000 each came from voters living in their own districts. 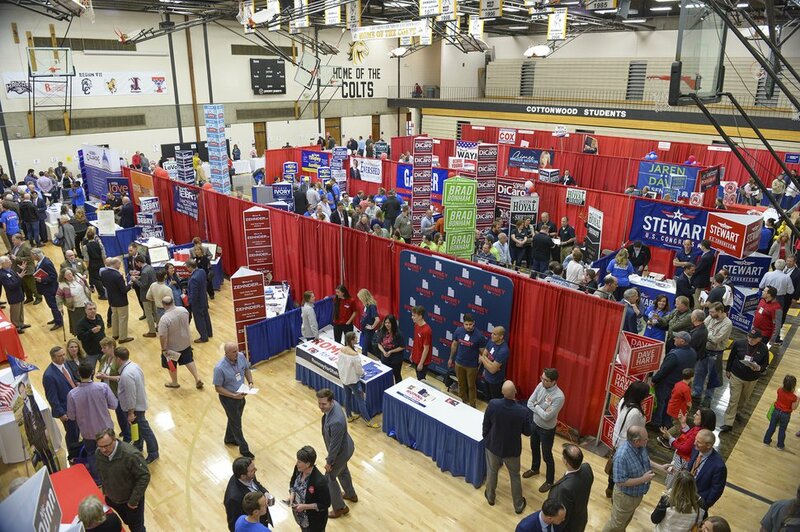 (Leah Hogsten | Tribune file photo) Delegates walk throughout the gymnasium and hallways of Cottonwood High School, listening to candidates and casting their ballots at the Salt Lake County Republican Convention, Friday, April 13, 2018. Some legislators, primarily freshmen who have not yet developed relationships with special interests, donated $105,200 out of their own wallets to campaigns. And rank-and-file Utah voters donated $284,300 to lawmakers outside their own districts. Legislators who raised the most were incoming Rep. Suzanne Harrison, D-Draper, $121,553; Senate President Adams, $103,183; new House Speaker Brad Wilson, R-Kaysville, $100,776; Rep. Jim Dunnigan, R-Taylorsville, $86,807; and House Majority Leader Francis Gibson, R-Mapleton, $78,007. Brown, the BYU professor, notes that legislative leaders almost always are at the top of that list and especially attract big donations from special interests. The largest donors in the state last year include the Utah Association of Realtors, $207,858; Reagan Outdoor Advertising, $74,568; the Utah Bankers Association, $52,200; the Utah Automobile Dealers Association, $49,882; EnergySolutions, $44,440; the Utah Hospital Association, $43,800; Chevron, $39,250; 1-800-CONTACTS, $39,000; and Altria (a tobacco company), $36,000. Of note, Senate President Adams and House Speaker Wilson are home developers, and Gov. Gary Herbert is a former real estate agent. By industry, the largest donors include health care, $278,943; real estate agents, $228,482; finance industry, $127,950; the drug industry, $121,400; labor unions, $109,122; insurance industry, $105,520; communications, $105,000; oil companies, $99,168; and law firms, $91,168. Lawmakers last year spent nearly $3.1 million, a bit less than they raised. But they spent a good deal on expenses not directly related to campaigning, from putting money in their own pockets by repaying campaign loans to buying gifts, donating to community groups, buying lots of food and building support for legislative leadership campaigns by donating to colleagues. For example, new House Speaker Wilson gave his House colleagues 23,000 reason to vote for him in that new position — with at least $23,000 in donations to them. 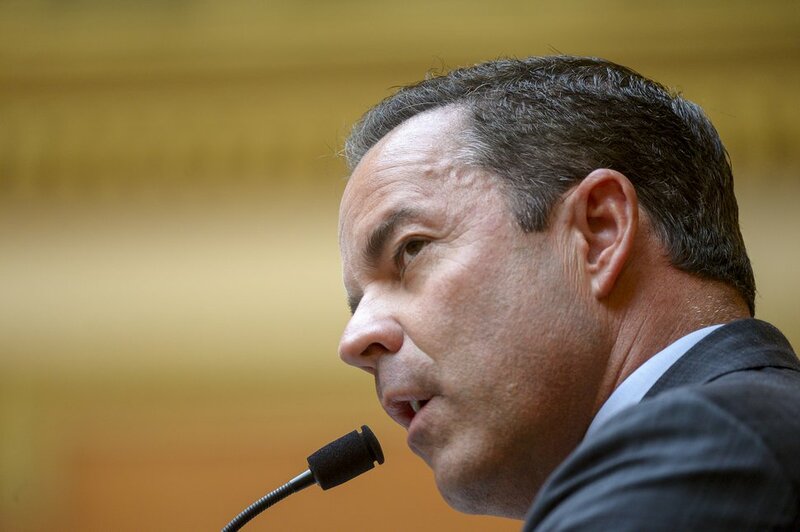 (Leah Hogsten | Tribune file photo) New House Speaker Brad Wilson, R-Kaysville. Candidates who repaid themselves large amounts for earlier loans include Sen. Keith Grover, R-Provo, $60,000; Sen. David Hinkins, R-Orangeville, $20,000; Rep. Ken Ivory, R-West Jordan, $15,000; Sen. Daniel Hemmert, R-Orem, $10,000; Rep. Kelly Miles, R-South Ogden, $8,555; Rep. Steve Handy, R-Layton, $5,400; and Rep. Joel Ferry, R-Brigham City, $5,000. Lawmakers decided to give away many of their donations — including $274,000 to other politicians or party arms; $74,000 to school, Scout and community groups (which may build goodwill with constituents); and $26,000 in wedding and other gifts to convention delegates, interns or others. Legislators also used donations to pay for a combined $268,000 in travel, and not just around the state. Lawmakers who used it to pay, at least in part, for a trip to China include Adams; Sen. Jake Anderegg, R-Lehi; Sen. Curt Bramble, R-Provo; Sen. Gregg Buxton, R-Roy; Sen. Allen Christensen, R-North Ogden; and Rep. Eric Hutchings, R-Kearns. Sen. Luz Escamilla, D-Salt Lake City, used some campaign money for a legislative trip to Mexico. Sen. Wayne Harper, R-Taylorsville, reported a trip to Israel. Four lawmakers used campaign cash to pay transponder fees to use express lanes on Interstate 15: Anderegg; Rep. Mike McKell, R-Spanish Fork; Sen. Deidre Henderson, R-Spanish Fork; and Rep. Kay Christofferson, R-Lehi. McKell has said that cuts travel time to allow him to stay at home during the Legislature and saves in potential hotel cots. Christofferson used campaign money to pay a $170 fee to expedite processing of his passport. Rep. Brad Last, R-St. George, spent $53 for dry cleaning. Five lawmakers reported campaign donations to pay fines for errors or delays in campaign finance reports. They included Rep. Melissa Ballard, R-North Salt Lake, $188; Rep. Steve Waldrip, R-Eden; $245; Rep. Ken Ivory, R-West Jordan, $150; Rep. Susan Duckworth, D-Magna, $22; and Rep. Rex Shipp, R-Cedar City, $10. Finally, lawmakers spent $136,000 combined on food with donations — from pizza for volunteers to candy to throw in parades to meals at restaurants with delegates and others. They spent the most such money on food at Costco, $8,985, followed by $8,395 at Smith’s Food.